As I’ve looked at many projects in our video-conferencing sessions, and in my own research and information sharing, there have been a few that stand out for me in terms of thinking, ‘I would love to work like that’. I think these all fall into the same segment of socially engaged art: community arts (or crafts, or cooking). They’re all focused around an element of making; one could say, like David Gauntlett, ‘social making’. They have to do with the wellbeing of individuals and communities, or making small changes that accumulate into something bigger. They are empowering. 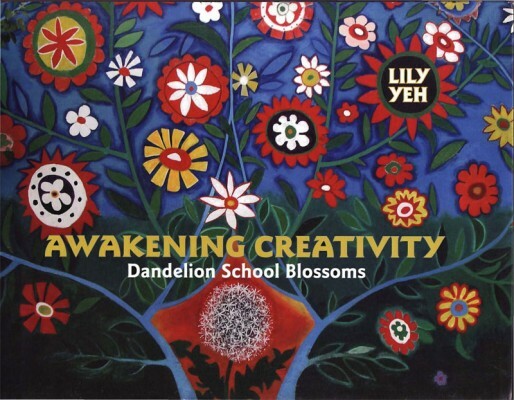 Individual and collective creativity is highly valued, sometimes simply for its own sake. There are elements of dialogue and social change, embodied in physical processes. They are inclusive. One of the projects I was most drawn to of the very many that Roxane showed us during the course was these crocheted afghans on the steps of Helsinki Cathedral, which wasn’t really even conceived as an art project (though it surely is). William Morris said, “I do not want art for a few, any more than education for a few, or freedom for a few”. That inspires me. There are challenging discussions going on about the whole area of grassroots ‘community-based art’ and its relationship with the more art world oriented ‘social practice’. Roxane pointed us to an article on ‘Artification‘ by Arlene Goldbard, who says that “one function of the term [social practice] is to erect a boundary between those who understand and feel comfortable in this language and those who don’t.” This article explores the same ground. It has been very interesting and helpful for me to study social practice these last few months and begin to see where I fit in. One thing (among many!) that I take away from the course is that I want to keep studying and set aside time to read more deeply. This section of my blog was set up for the course and after today I won’t add any more to it. But I see this as just the beginning and I’ll still be blogging about it. So this post will be the last in ‘Art and Social Practice’, and also the first in ‘Community Arts’ :-). David Gauntlett, Making is Connecting, Cambridge: Polity Press, 2011. William Morris, ‘The Lesser Arts’, in William Morris, News from Nowhere and Other Writings, London: Penguin, 2004, p253. One of the exciting things about being on the first Art & Social Practice course was that there was funding for students to go to a Learning Lab in Shetland at the end of the course. The weekend turned out to be very snowy so some of us were delayed getting to Shetland and some couldn’t travel between the islands, but we made the best of it and most of us got to meet each other. 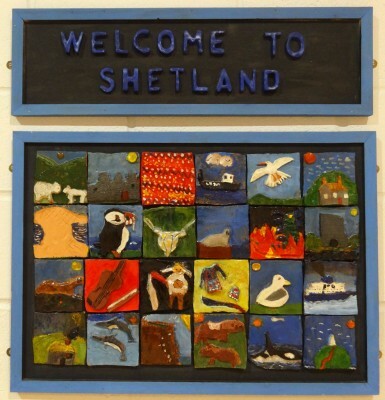 Frances and I arrived about 24 hours late so this was a welcome sight on the Friday evening, it’s in Shetland airport. … and I managed to get a copy of this lovely book. Academically there was so much to absorb during the weekend. As well as learning from Roxane Permar, our tutor, and each other (we did our presentations over the weekend), we were lucky enough to have Loraine Leeson with us. She gave a presentation about her work, and feedback on some of our presentations, as well as a mini-tutorial each. Nearly every project worth doing has a sticky moment in the middle where you just don’t know how to do it. Stay with the process. Trust the process. Use your knowledge and then participants can be more certain of their knowledge. All the arts can do is to draw attention to issues, but with a purpose of something happening. Learn from conflict resolution practices. Artists bring passion, long term vision, “fire” to a project. You’re an artist and not an anthropologist. Try to find out what’s motivating people. Learning objectives and artistic objectives can co-exist. It’s OK to be strategic about things. Art is about the creation of meaning, resonance that others will engage with. An artist brings a framework to contain the imagination of participants, to create something together that may have constituent parts but is also a whole. Aesthetics are essential, the end product isn’t just everything stuck together, you can be directive about that, the thing produced will be really powerful. Don’t shy away from leadership. Leadership isn’t the same as power. For the next project you need a sense of what mattered to you in the last one. Don’t think of your work as an extension of you but as something outside you (like any art object). Participants want to be part of something that has aesthetic power, and developing your design and visual skills will feed into that. On the Sunday we had a trip to visit Andrew Ross at GlobalYell, which was so exciting for me, and I think is maybe a blog post in itself. 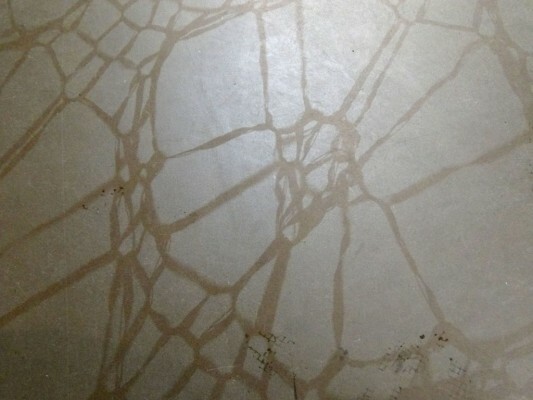 This image is Shetland lace knitting projected by light onto the floor at Mareel, the Arts Centre in Lerwick. 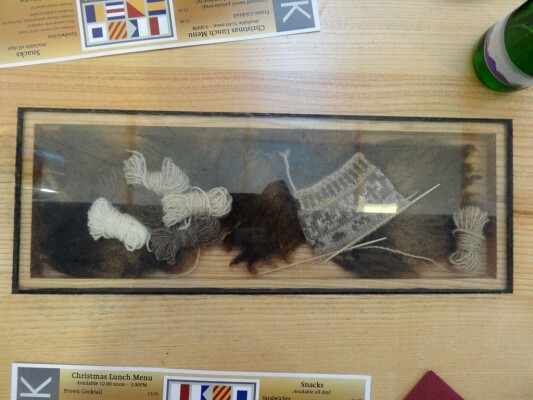 It’s part of MirrieDancers, by Shetland lace knitters working with Nayan Kulkarni and Roxane Permar. Since starting the Art and Social Practice course I’ve been subscribing to the free Mailout newsletter, which is full of useful information. The most recent issue mentions a paper by Francois Matarasso, ‘Creative Progression: Reflections on quality in participatory arts‘, which is based based on a case study of this project by Helix Arts. We are the stage of reflecting critically on our course projects (effective deadline Thursday lunchtime when we set off for Shetland! ), and there is lots of relevant food for thought here. He stresses the importance of including theoretical questions in the “conception and planning of a project”, to have any chance of testing the “quality or value” of activities, and use time scale as an example. In a long programme, some people may gain most from a short segment like a workshop – “Six hours of energy, excitement, focus and limited commitment”. Whereas adult education may transform cumulatively, participation in art can be intensely and almost instantly transformative. A “clear articulation of how and why specific arts interventions are expected to result in change is an essential theoretical basis” to participatory arts practice and evaluation. I’ll come back to this in a second post – Matarasso goes on to say some very interesting things about success, ‘good failure’ and ‘bad failure’, and about empowerment. Matarasso, F (2013), Creative Progression: Reflections on quality in participatory arts, UNESCO Observatory Multi-Disciplinary Journal in the Arts, 3:3.
audio recording may be a useful art form for people who don’t want to get messy with paint. we could ask community groups to talk about this, draw, video. We could involve people from various subcultures, similar in age, philosophy, or interests to communicate more widely. we could ask ‘What Tiree means to you?’ Collect words. Create art that represents this. Several writers we’ve studied identify two extremes of a participation spectrum: where the participants are co-authors, and where the participants are raw material. Helix Arts call these the ‘Kester-end’ and the ‘Bishop-end’ (referring to a critical exchange between Grant Kester and Claire Bishop) (Lowe & Helix Arts, 2012: 4-5). Helguera calls them ‘collaborative participation’ and ‘nominal participation’ (Helguera, 2011: 14-15). Our project occupied a middle ground. We as the two artists had ultimate control and directorship, providing a framework that defined the project. Three of our participants from Tiree Trust collaborated with us and helped to formulate the initial parameters and the original idea came from one of them. They had creative input during the planning stages and changed the process of the project in significant ways. Participants in our social events volunteered freely but were strongly directed: for example the box-houses could only be papier mache and we limited how they were to be painted; at the box opening, people were involved in a process that they had contributed to; they made small decisions and used initiative in the way they recorded and displayed the cards, so for example the cards were stuck to the display boards in different orientations to fit; however, if we had anticipated this we might actually have directed more clearly and specified one orientation for aesthetic reasons. The social events (papier mache house construction, painting the houses, and the box opening) had elements of exchange: skill sharing, learning, making. Physically they were more like a structured team activity than a creative participation. It was the conversations as the participants worked and, at the box opening, the conversation over the cake as people read the words together, which brought the events alive. With hindsight, we might have arranged for someone to go round at the box opening and capture more of what was said. Even without this it was clear the reaction to the cards was transformative, changing the perceptions of the participants. Feedback mentioned surprise, refreshing honesty as well as fun and excitement. Lowe, T. and Helix Arts (2012), A quality framework for Helix Arts’ participatory practice, www.helixarts.com/pages/research.html (accessed 1 December 2013).